Disclosure: Please note that some of the links below are affiliate links, and at no additional cost to you, I will earn a commission if you make a purchase. Please understand that I have experience with all of these products, and I recommend them because they are helpful and useful, not because of the small commissions I make if you buy something. Please do not spend any money on these products unless you feel you need them or that they will help you achieve your goals. Want to take your physical therapist home with you? Arc is a revolutionary product for natural pain relief and perfect posture. Designed by a physical therapist, Arc is a portable device which helps give postural support as well as relieve headaches, neck and back pain. By using Arc for 10-15 minutes a day, the cervical system, including the joints, nerves and muscles will be optimally positioned for healing and pain relief. The device comes with helpful online “how it works” explanations and instructional videos demonstrating its proper use for pain relief, posture support and spinal exercises. I use Arc to treat my own aches and pains. Ankle sprains are painfully misunderstood! You can do so much more for an ankle sprain than just ice it. Greg Schaible, one of my colleagues, has put together the ultimate ankle sprain recovery guide. Follow along at home with video demonstrations of specific exercises and techniques. Whether you are a weekend warrior or a competitive athlete, you can regain function more quickly than ever before. Not only does Greg show you what to do immediately after you sprained your ankle, but he includes a great set of exercises geared toward preventing ankle sprains from recurring. A great program based on solid clinical experience and research! My PT friend, Greg Schaible, has done it again! He has taken his experience as a former Collegiate athlete in Track & Field (5x Division II All-American; 6x Division II Academic All-American) and combined it with his experience as a Doctor of Physical Therapy and Certified Strength & Conditioning Specialist to develop a phenomenal program for the Youth and High School athlete. 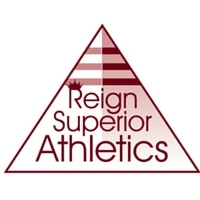 Reign Superior is a 5-level program based on tried and true training methods that build strength, increase speed/vertical jump, and build explosive athletic power. A comprehensive program designed to unlock the youth athlete’s full potential, build confidence, and create success both on and off the field or court.